Prof. Sheriffadeen Tella, Professor of Economics, Olabisi Onabanjo University Ago-Iwoye, said that the MPR should be reduced for banks to bring down their lending rates and encourage demand for credit by the real sector. Tella stated that lower rates would lead to production expansion, increased output and employment generation. “It is, therefore, imperative that monetary policy rate be brought down as signal for banks to bring down their rates and encourage demand for credit and credit creation or monetary expansion to assist investors with funds and consequently production expansion, increased output and employment generation,” he said. Tella disagreed with the position of the Central Bank of Nigeria (CBN) that inflation was caused by high level of liquidity in the nation’s economy. “The position of the CBN is that inflation is caused by high level of liquidity in the Nigerian economy. “The billions of naira found in idle flats, farms and shops implies that they were harmless and cannot cause inflation but could cause massive depreciation of the naira,’’ the professor said. He said that those were the monies used by speculators to buy up foreign currencies as soon as the CBN pump the foreign currencies into the banking system and bureau de change. “The main cause of the inflationary pressure has been the massive depreciation of the naira, because as soon as the CBN took action to strengthen the naira in the foreign exchange market, the inflation started coming down,” he added. 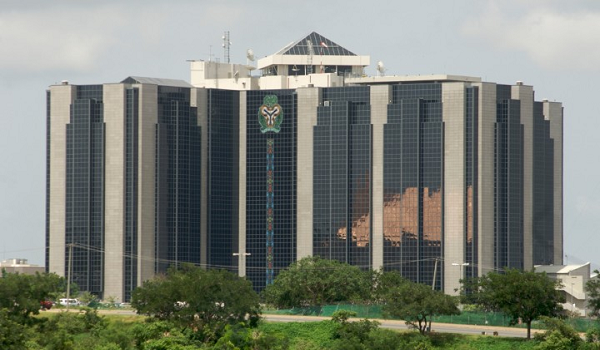 Dr Uche Uwaleke, Head of Banking and Finance Department, Nasarawa State University, Keffi, called for monetary policy easing by the MPC to sustain economic recovery. Uwaleke stated that economic activities appeared to be picking up gradually, judging from the bullish trend in the stocks recently and increase in the Purchasing Managers’ Index, reported by the CBN. “In order to speed up the tempo of economic recovery, I would subscribe to monetary policy easing by the MPC,” he said. According to him, the MPR should be reduced from the current 14 per cent to 12 per cent, while CRR should be reviewed from 22.5 per cent to 20 per cent. He said the MPC would likely leave all the rates unchanged in its May 22 and 23 meetings, noting that the MPC should reconsider rates review in the interest of the economy. “However, this may be far from the outcome of this week’s MPC meeting, as all the rates may be left unchanged. “Having followed with keen interest the MPC communique for some time now, it is my bet that the MPC will maintain the status quo, citing the need to sufficiently subdue inflation rate, which began a gradual descent in February down to 17.24 percent in April,” Uwaleke stated. He said that the MPC could argue that easing monetary policy now would be too early and could reverse the downward inflationary trend, including having a negative impact on the exchange rate.